Ten years strong, Bryan's Street and Art Fair will once again decorate the college city's downtown with local talent on canvas and on stage. Event organizers advertise this fair to be the biggest and best yet. That means a larger demonstration area so you don't just get to look at art, but get more room to create it! Anat Ronen, a well-known mural and chalk artist, will join the fun this year to create sidewalk art while you watch. Or join in! 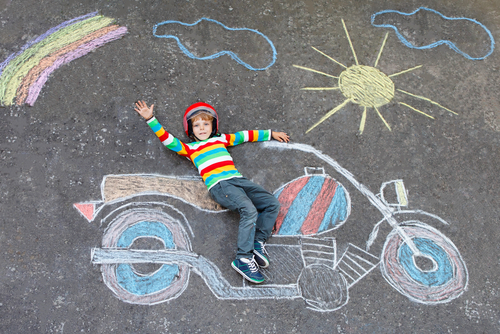 Visitors will be invited to create their own 6’ x 6’ chalk art within the fair area. Of course, there will also be live music and street performers to offer a soundtrack for your day of fun. The date is Saturday, April 13th between 10 and 6. It coincides with Texas A&M's Family weekend so expect a crowd on 26th Street between Main Street and Parker Avenue.